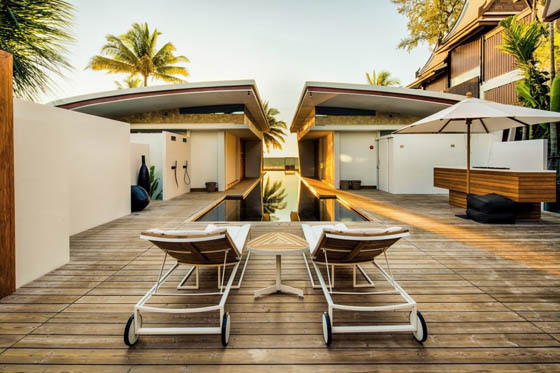 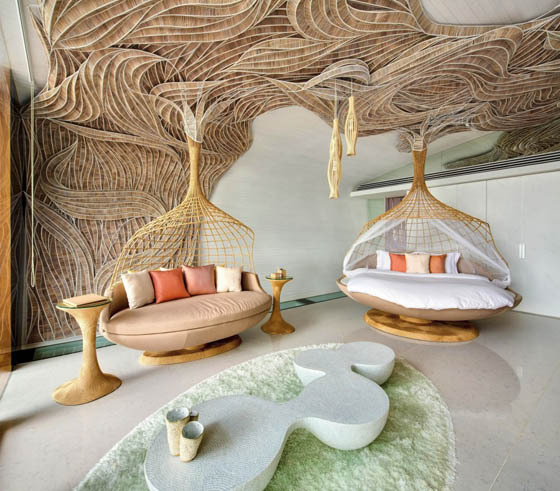 Located in the Phang Nga province in Thailand, Iniala Beach House is designed by Eggarat Wongcharit and is a maximalist fantasy inspired by Thai culture and Buddhism which includes beds and sofas suspended from the ceiling by wicker bamboo. 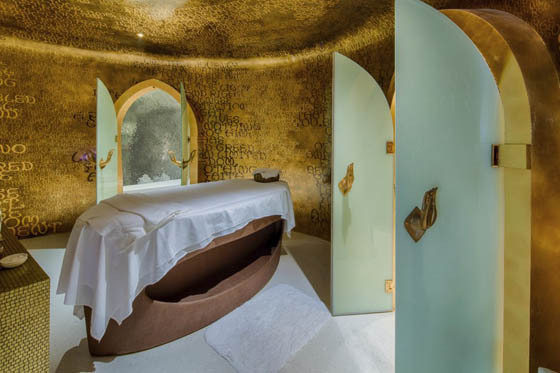 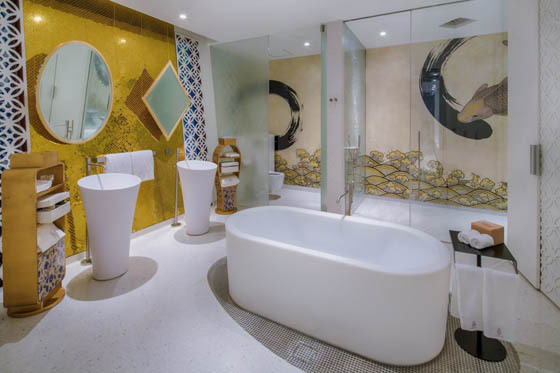 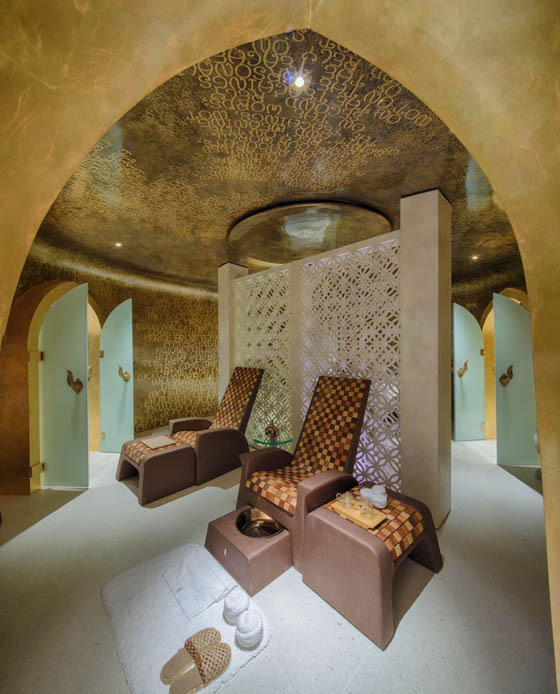 The villa’s own spa is located within an ancient golden Thai bell, with Buddhist teachings translated into English inscribed in the walls. 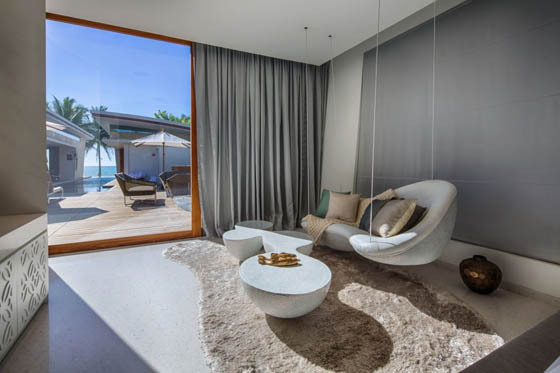 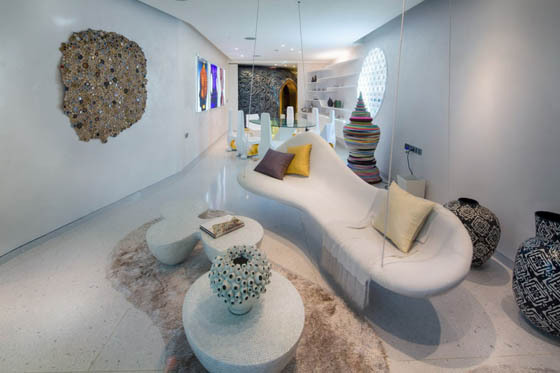 Inspired by nearby Phang Nga Bay, all of the furniture is Thai as well as the artwork, and a collage of small pictures of Buddha are “protected” by being wrapped in a crochet hanging on the wall. 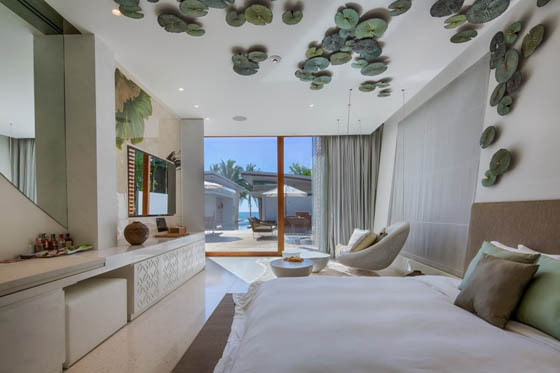 The room pays a tribute to the sacred Buddha with three large illuminated images on the wall behind hanging white sofas covered with mother of pearl. 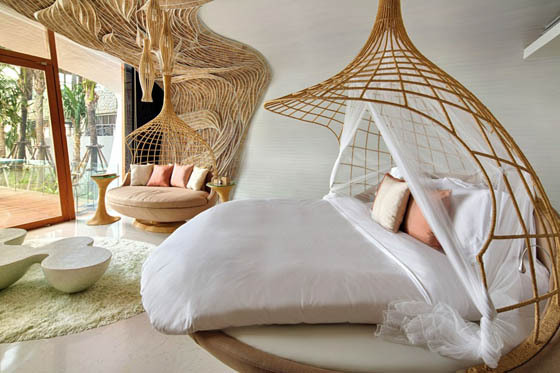 A wrapped pagoda with traditional Thai weaving expanding over it onto the ceiling ties the room’s contemporary lines and Thai roots seamlessly together, and the weaving incorporates an elaborate dream catcher facing down upon guests as they walk in. 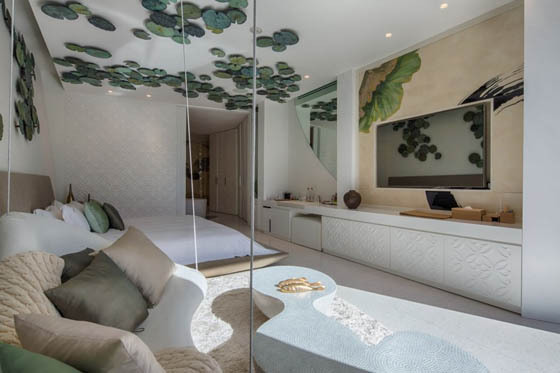 Inspired by the symbolism of the Lotus flower, the bedroom “Lotus Suite” is aptly named for the lotus pads splashed on the ceiling over the bed, very Thai in style and with much symbolism.